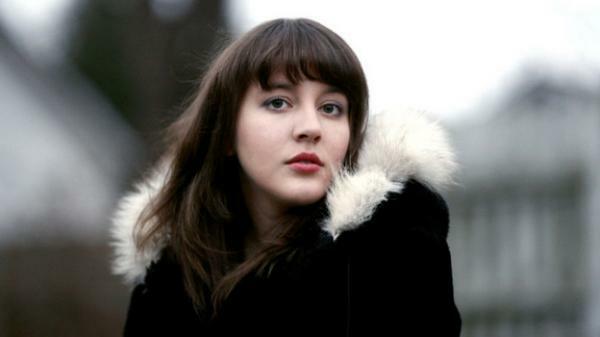 Alt-country songstress Caitlin Rose has contributed a lovely tune to the For Folk’s Sake It’s Christmas album. Click below for “You Never Come Home for Christmas,” Caitlin’s duet with Keegan DeWitt, but please check out the whole record. You’ll thank me. 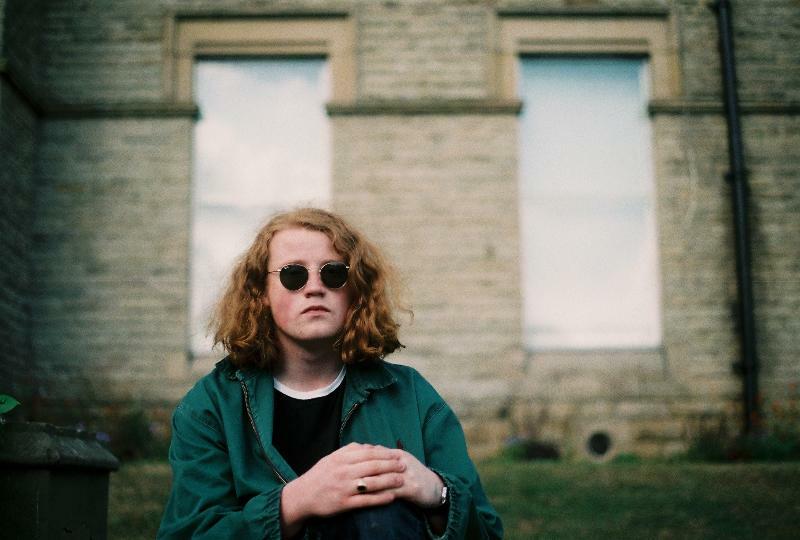 Not only is it chock full of folking good songs from up-and-coming artists (like The Leisure Society, Darren Hayman, and Laura Boyle), proceeds go to the UK’s Integrated Cancer Center. 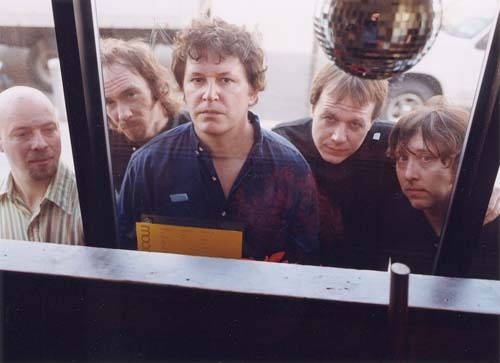 Rumors have been swirling about Guided by Voices, but they’re more interested in swirling snow. And, apparently, doughnuts–hence “Doughnut for a Snowman,” the instant holiday classic. I don’t know many snowmen, but probably most of them would be happy “starting the day with a Krispy Kreme.” Stream or download below. Yes, there’s a radio version of Spectrals’ “It’s Christmas and I’ve Got Everything I Want,” but where’s the fun in that? Instead, listen to the tune in its eight-minute glory–the last three or so are just a fuzzy, dubby voice repeating ‘it’s Christmas’. Good stuff. What would Christmas be without showing some love for your neighbor? 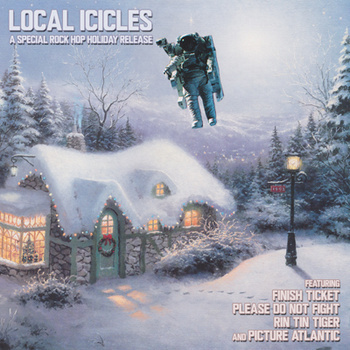 Local Icicles is a holiday EP brought to you by some fantastic Bay Area bands. You may have heard of them–Finish Ticket, Rin Tin Tiger, Picture Atlantic, and Please Do Not Fight all contribute jolly good tracks. I, for one, am happy to hear a new-and-not-irritating version Mariah Carey’s version of “All I Want for Christmas Is You.” Grab the album for free below. I’ve never liked Vince Guaraldi’s “Christmas Time Is Here,” but I seem to be the only one feeling a bit Scroogey. 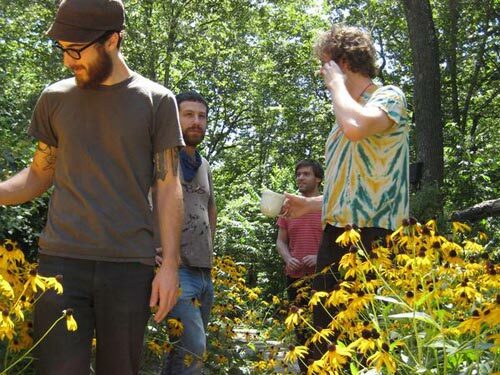 I do love Woods, though, so I had to include their cover in this playlist. 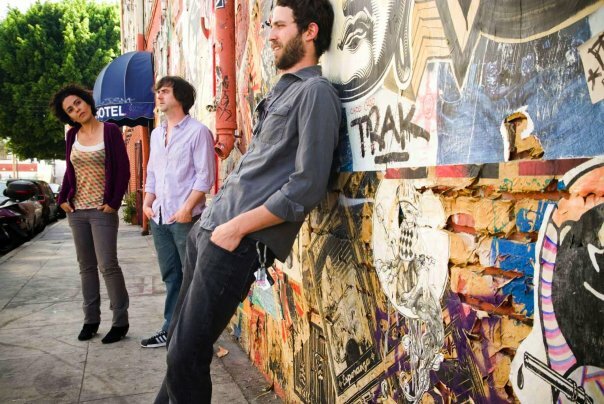 They’re just wrapping up a US tour; check out the remaining dates here, and right click the link below to download the track. Listening to Diana Krall’s Christmas album is so cliché. If you want a bit of that smoky, jazzy vibe without any of the…well, normal bits, try Anya Marina‘s quirky “I Want A Hippopotamus for Christmas.” It’s kind of adorable. And you can even make a party game out of it: see how much mulled wine it takes before your guests can’t spell ‘hippopotamus’ anymore. If you like your holiday parties politically conscious, check out Eastern Conference Champions’ “Nuclear Christmas.” It tells a thoroughly modern tale of bomb threats, outlandish gas prices, and being stuck in LA. It’s the opposite of escapism, but still manages to keep the Christmas cheer. Eggnog probably helped. Right click to download the track below. 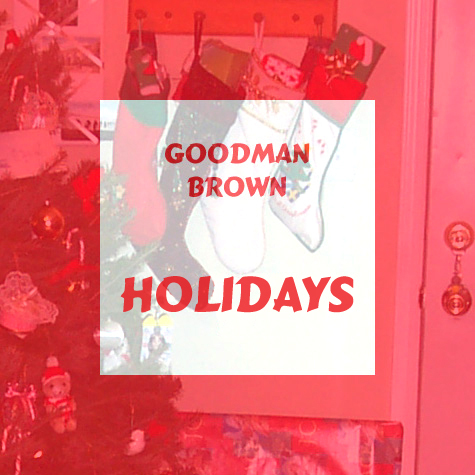 “Holidays” by pop trio Goodman Brown is catchy as hell. It not only provides the rock & roll fire your holiday party needs, it’s actually good enough to listen to after the holidays. Can you really say that about “Jingle Bell Rock”? Yeah, didn’t think so. Want something with a similar rock vibe? Check out the album This Is Christmas by Emmy the Great and Tim Wheeler (of Ash). It has such quintessential tunes as “Jesus the Reindeer” and “Zombie Christmas.” Get single “Home for the Holidays” free here.